New Delhi : Delhi Chief Minister Arvind Kejriwal will be sitting on indefinite hunger strike from March 1 demanding full statehood to Delhi. 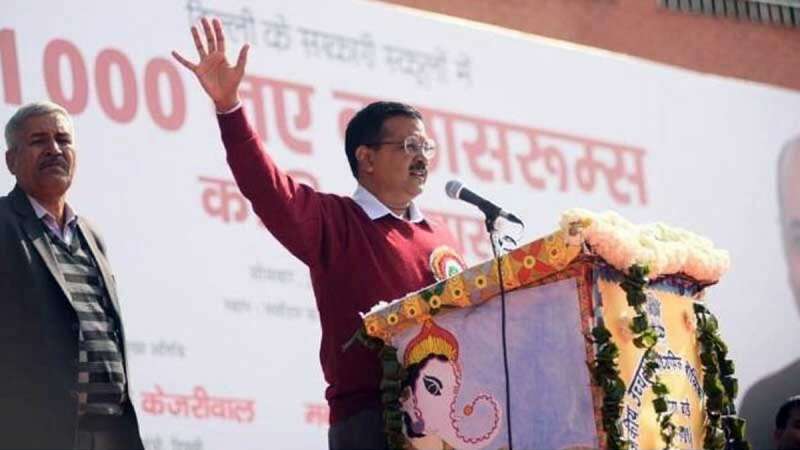 Stating that democracy had been implemented in the entire nation except for Delhi, CM Kejriwal said that public votes determine a government yet the government does not have any power here. Mr. Kejriwal claimed that he will not stop till Delhi gets full statehood. He also said that he is ready to stage dharna inside PM's residence if Delhi is not given complete statehood. The development comes days after Supreme Court shocked Delhi government and allowed Centre to order investigations against corrupt officers in the national capital.